The new Executive Council consists of Elvis Tjin-Asjoe (MPB), Nina den Heyer (MPB) and James Kroon (UPB). 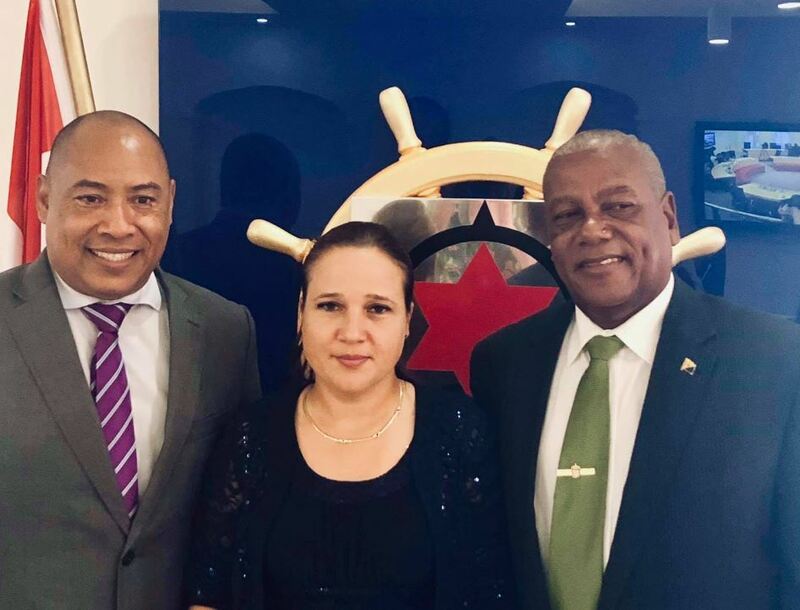 Kralendijk – Just two and a half weeks after the elections of March 20, 2019, Bonaire has a new Executive Council, supported by a coalition of the Movementu di Pueblo Boneriano (MPB) and the Union Patriótiko Boneriano (UPB). This morning the new Commissioners were sworn in at a meeting of the Island Council by Island Governor Edison Rijna. There appeared to be no objections to their appointment. As the MPB obtained 4 seats and the UPB 2, the new Executive Council can count on a relatively comfortable majority of 6 of the 9 seats on the island council. James Kroon is the only deputy returning from the previous executive council which was formed by the green party and the Forsa Social Progresivo (FSP) split off from the democratic party PDB. The USP did not manage to win a seat in the elections on 20 March. For Den Heyer, this will be her second time as Commissioner. Many feel that her first tenure as Commissioner formed the basis for for her popularity in the recent elections. Den Heyer, as Commissioner, showed herself to be pragmatic and a solid, yet business-like negotiator with her counterparts from The Hague. She was also very consistent when it came to her agenda, namely combating poverty on the island. Elvis Tjin-Ajoe has in the past also occupied the post of Commissioner 2 times for relatively short periods (3 months in the year 2009 and 5 months in the year 2010). He also occupied the position of Minister (of Economic Affairs) on 2 cabinets of the Netherlandse Antilles on behalf of the UPB (of which at the time he was still a member).